Our Flame Polishers use electrolytic reaction to generate gas that is fed out through a fine nozzle and ignited. This provides a fine, controlled flame ideal for the polishing of plastic panels. 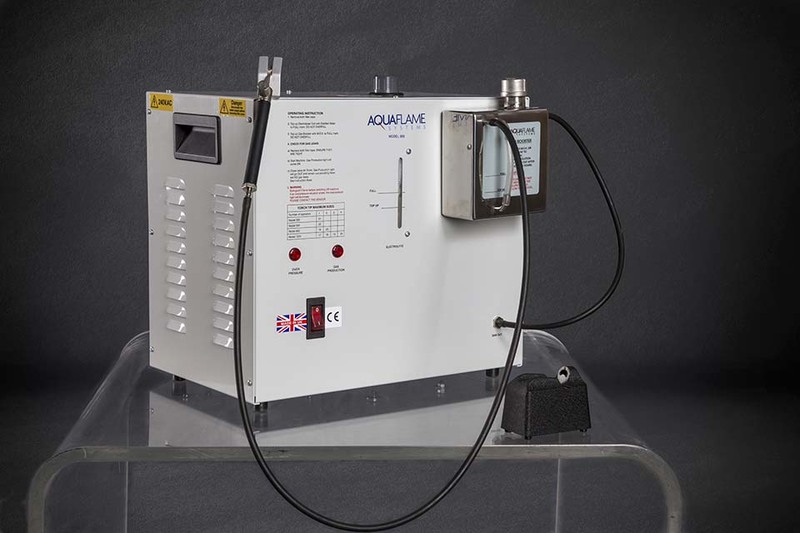 Our Flame Polishers are built to the highest standards and incorporate a flashback arrestor in the torch along with gas production and over pressure indicator lights. They come with a two year warranty. The FP02 Flame Polisher will accommodate two torches each fitted with an 18SWG nozzle, ideal for processing plastic materials.